Sakab Designs understands the importance of your safety. Protecting your home against unwanted company is our primary goal. Home intrusion happens unexpectedly and can be extremely disheartening. Sakab offers its clients effective and reliable solutions to alarm systems. Our alarm systems are designed to effectively detect intrusion and unauthorized entry into your home and alert you and the authorities. Intrusion alarm systems may be combined with closed-circuit television surveillance systems to automatically record the activities of intruders. They may also interface to access control systems for electrically locked doors. Alarm systems range from small, self-contained noisemakers, to complicated, multi-area systems with computer monitoring and remote control. Why wait until it’s too late? Schedule a consultation today to learn more about how an effective alarm system can bring your family or business the security it needs. Home burglary has been a growing problem through out the nation. More and more homeowners are suffering loss and damage due to faulty or non-installed alarms. Why wait for an unauthorized intrusion to install your alarm. 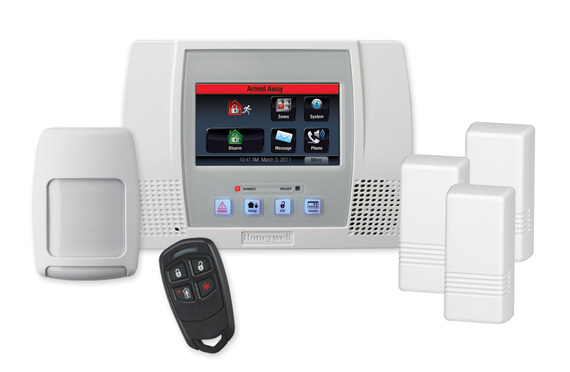 We offer a variety of alarm system packages that fit everyone’s need and budget. Find out how Sakab Designs can help further secure your home. Intrusion alarm systems may be combined with closed-circuit television surveillance systems to automatically record the activities of intruders. It may also interface to access control systems for electrically locked doors. Alarm systems range from small, self-contained noisemakers, to complicated, multi-area systems with computer monitoring and remote control. Premises Control Panel: This is the main part of the system or as some call it the “brain” of the system. It receives sensor inputs, tracks arm/disarm status, and signals intrusions. In modern systems, this is typically one or more computer circuit boards inside a metal enclosure and a power supply. Interconnections: These are bridges between components. This may consist of direct wiring to the control unit, or wireless links with local power supplies. Keypads: A wall mounted device that functions as a human-alarm communication bridge. This device features buttons, control pads, indicator lights, alert messages, and digital display. Sensors: These are devices that detect intrusions and unwanted activity. They may be placed around your home, inside or both. Detection occurs in a variety of methods, such as monitoring doors and windows for opening or forced entry and monitoring unoccupied interiors for sound, vibrations, motions, or other disturbances. Alerting Devices: Most commonly, these are typically sirens, and/or flashing lights. Alerting devices serve the dual purposes of warning occupants of intrusion, and potentially scaring off intruders. Security Devices: Devices to detect intruders such as cameras, lights & lasers.